OK, I don’t talk politics, about personal stuff, etc on this site usually. And I’m not gonna’ start now. 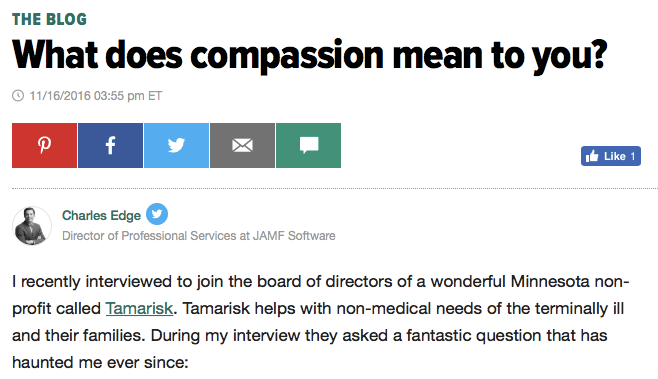 But with Give To The Max Day in Minnesota today, I did write an article on the meaning of Compassion on Huffington Post. It can be found at http://www.huffingtonpost.com/charles-edge/what-does-compassion-mean_b_12999974.html if you’re interested in such things; if not, hope you have a wonderful day!